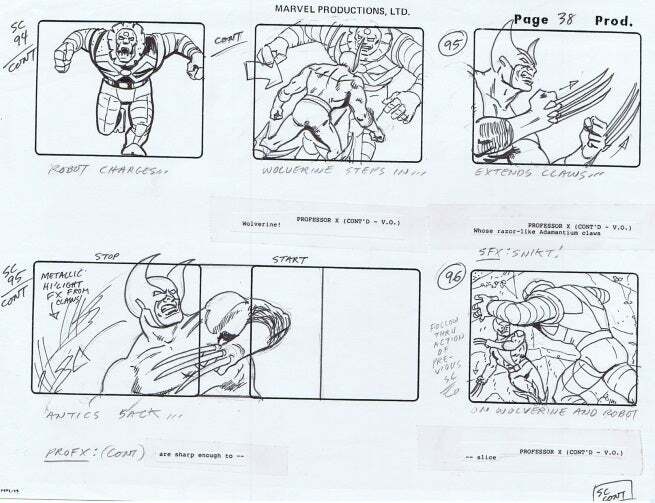 Most fans remember X-Men: The Animated Series from the 1990s, but there was an attempt to launch an X-Men cartoon prior to that as well. 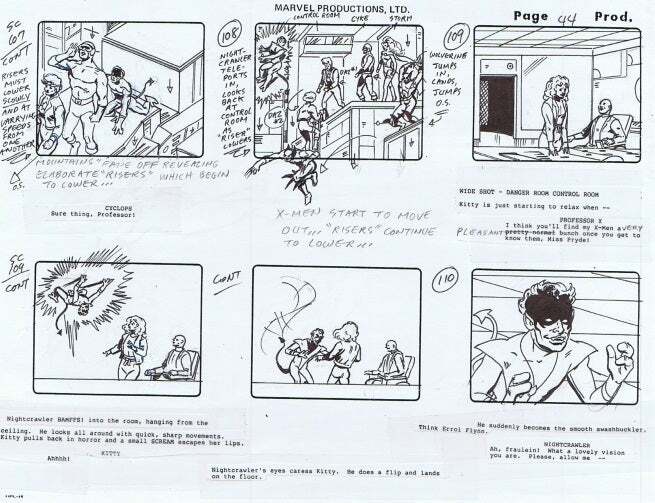 Pryde of the X-Men was the pilot for that previous attempt, and now original storyboards from that pilot are being sold on eBay. 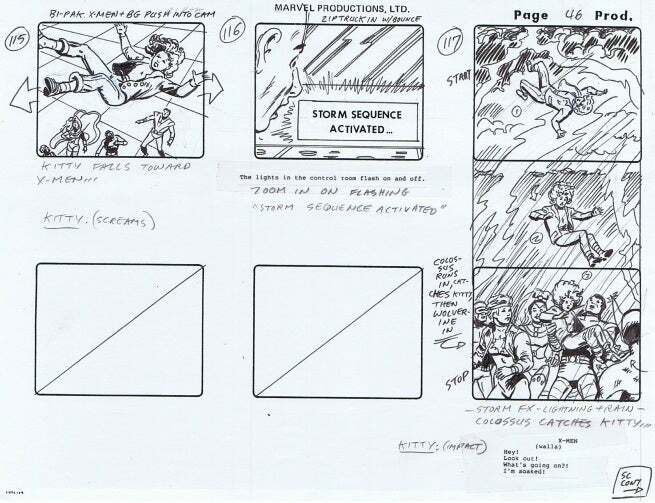 The storyboards are being sold by Will Meugniot, who was a producer on Pryde of the X-Men before becoming Supervising Producer on X-Men: The Animated Series. 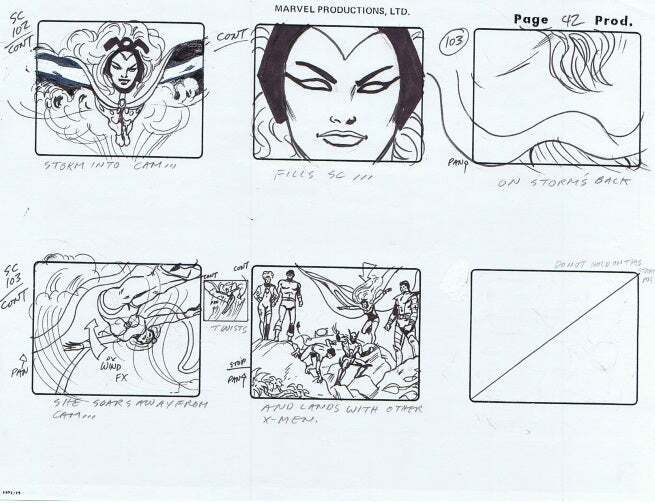 53 pages of original storyboard art are up auction, all of which were used in the production of the Pryde of the X-Men pilot film. 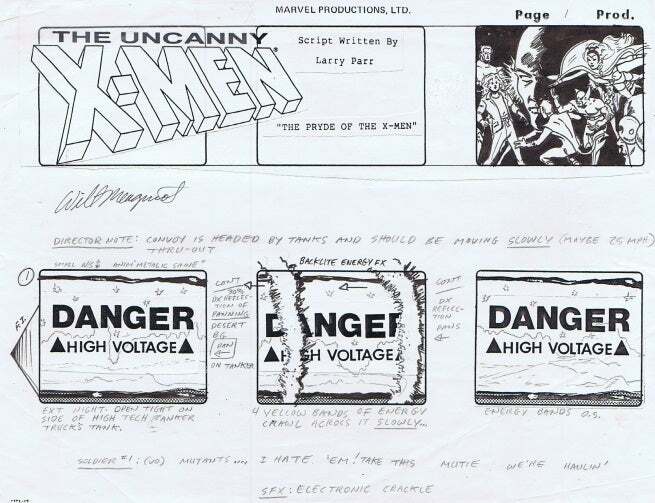 Pryde of the X-Men originally aired in 1989 and told the story of Kitty Pryde’s first day with the X-Men. Kitty and Professor X are almost immediately kidnapped by Magneto and his Brotherhood of Evil Mutants, and so the X-Men have to travel to Asteroid M for a rescue mission. 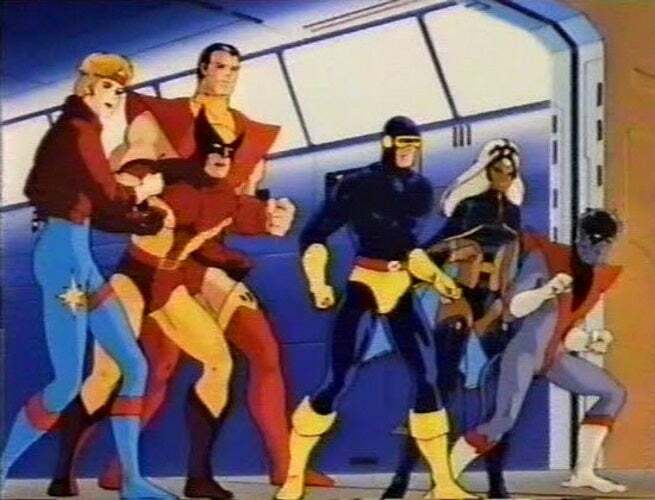 The pilot was never picked up for series, but did serve as the basis for the classic 1992 X-Men arcade game, which featured the same lineup of X-Men: Cyclops, Wolverine, Storm, Dazzler, Nightcrawler, and Colossus. 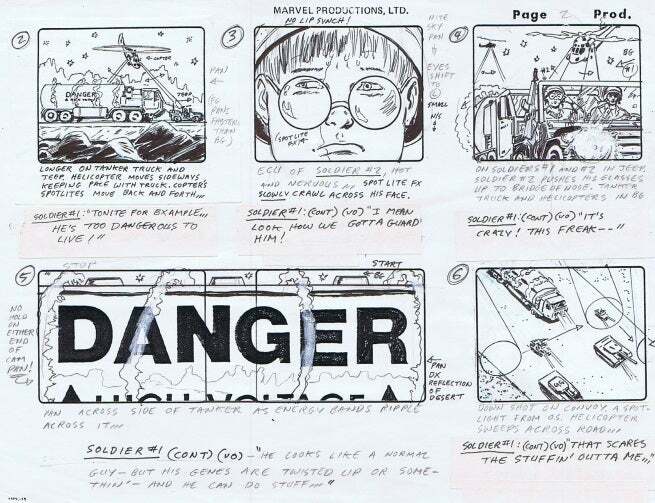 You can bid on the storyboards at the eBay auction page.